Aerospace industry executive Lawrence A. (Pat) Hyland headed Hughes Aircraft Co.
for nearly a quarter of a century. He is one of several people credited with major contributions to the invention of radar but is best known as the man who transformed Hughes Aircraft from Howard Hughes’ aviation “hobby shop” into one of the world’s leading technology companies..
Hyland was born in Nova Scotia, Canada and moved to the U.S. in 1899. He served in the U.S. Army during World War I, and then in the U.S. Navy until 1926. He then joined the U.S. Naval Research Laboratory as a radio engineer. While at NRL he first demonstrated the reflection of radio waves from aircraft, and also made other contributions to the development of doppler radar. In 1932 Hyland founded the Radio Research Company, which would later be merged into the Bendix Corporation; where he became Vice President for Research and Engineering. In 1954 Hyland was hired as Vice President and General Manager of Hughes Aircraft. He would ultimately become company President and CEO after Howard Hughes’ death in 1976. Under Hyland’s guidance, Hughes Aircraft continued to diversify and become immensely profitable. Among other accomplishments, the company developed numerous radar systems, electro-optical systems, the first working laser, aircraft computer systems, missile systems, spacecraft, and many other advanced technologies. During his lifetime Hyland frequently advised the U.S. government on science and technology. 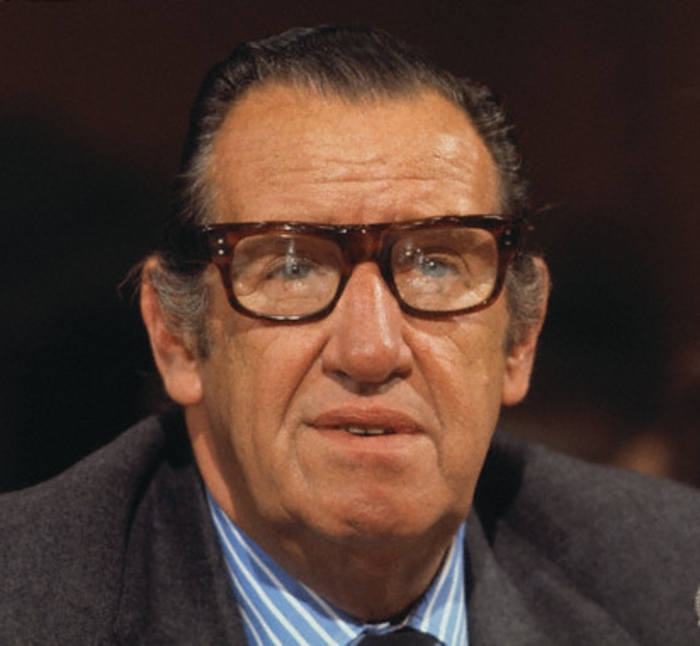 At various times he served as a senior consultant to the President’s Science Advisory Committee, the Atomic Energy Commission, and the Central Intelligence Agency; and he was a member of the Defense Industry Advisory Council. John Joseph Montgomery was an American inventor, physicist, engineer, and professor at Santa Clara College in Santa Clara, California, best known for his invention of controlled heavier-than-air flying machines. In the 1880’s Montgomery made manned flight experiments in a series of gliders in the United States in Otay Mesa near San Diego. Although not publicized in the 1880s, these early flights were first described by Montgomery as part of a lecture delivered at the International Conference on Aerial Navigation at Chicago in 1893. These independent advances came after flights by European pioneers such as George Cayley‘s coachman in England and Jean-Marie Le Bris in France. While Montgomery himself never claimed firsts, his flight experiments of the 1880s are considered by some historians and organizations to have been the first controlled flights of a heavier-than-air flying machine in America or in the Western Hemisphere depending on source. Montgomery devised different control mechanisms for his gliders including weight shifting for roll and an elevator for pitch, and subsequent designs incorporated hinged, pilot-operated trailing edge flaps on the wings (1885-1886) for roll control, leading to full wing warping systems for roll and full wing warping systems for both pitch and roll. Clifton A. Moore, who served a record 25 years as Los Angeles International Airport (LAX) executive director, earned the nickname “Mr. Aviation” for overseeing the transformation of Los Angeles International Airport into the world’s third-busiest transportation hub. In 1940, he took a seaman’s entrance exam for the U.S. Navy. He was one of two accepted out of 200 examinees. Assigned to the USS Warden, Moore was among a handful of crew members aboard the destroyer at its anchorage in Pearl Harbor on Sunday morning, December 7, 1941. Raked by gunfire and dodging Japanese bombs, Moore and his shipmates raised steam and guided the ship out of the harbor, the first of the fleet to reach the ocean’s safety. Four years of harrowing sea duty followed — the North Atlantic, Santa Cruz and Marcus Islands, Bougainville, the Marshalls, the Philippines and Leyte Gulf. When Moore was awarded his Chief Electrician’s stripes at age 20, he was the youngest petty officer in U.S. Navy history. Following military discharge, Moore settled in Los Angeles, taking an electrician’s job with the City of Los Angeles in 1946. One of his first assignments was to re-install the Lindbergh Beacon, named after famed aviator Charles Lindbergh, on top of City Hall, where it had directed pilots to the airport from 1928 to 1941, when it was removed because of World War II. His connection with the airport began in 1959 when he paid a $3 fee, won a competitive exam, and was hired as a building superintendent at LAX. He soon assumed additional duties as administrator for the construction of what would become known as LAX, helping to transform a two-runway regional airport into the third busiest airport in the world. Named deputy general manager of the Department of Airports in 1966, Moore advanced to executive director in 1968, in charge of not only the day-to-day operations of LAX but those of the three other airports in the department’s system, Van Nuys, Ontario International and Palmdale Regional. He retired from his post in 1993. Robert William Prescott was an ace with the American Volunteer Group aka the Flying Tigers in the early part of World War II, then a pilot with China National Airways Corporation, ferrying supplies from India to China to aid the fight against Japan. The National Skyway Freight Corporation was established as a charter airline on June 25, 1945, with Prescott as managing director. The new company’s motto was “We’ll Fly Anything, Anywhere, Anytime.” Prescott purchased 14 Budd Conestoga Navy surplus cargo planes to get started. Their first shipment took place in July. They lost $21,000 the first month of operations and $12,000 the second, but were making a profit by the third. However, the charter freight airline began to have financial trouble, so Prescott applied to the Civil Aeronautic Board (CAB) for a certificate allowing scheduled services. In the meantime, salvation came in the form of a six-month contract with the US Army’s Air Transport Comand for pilots and maintenance services, later extended to November 1947. Author, historian and former aerospace executive Bill Schoneberger spent more than a half century participating in and chronicling the progress of U.S. aviation. He was the author of nine books of aviation history and played a key role in the communications organizations of firms including General Electric’s jet engine division in Ohio and Northrop in Los Angeles. 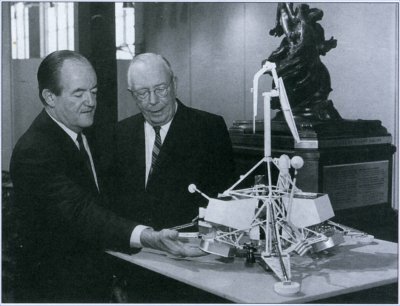 Schoneberger served four terms as president of the Aero Club of Southern California, and in the late 1970s helped arrange with the estate of Howard Hughes to have the club display the Hughes Flying Boat, nicknamed “the Spruce Goose,” to the public in a large dome on the Long Beach waterfront. In the early 1990s, Schoneberger headed a team from the club that arranged for the enormous wooden aircraft to be relocated to its present home in a new museum in Oregon. He also worked with the Hughes estate to create the Aero Club’s Howard Hughes Memorial Award, which for more than 30 years has honored lifetime achievements in aviation and aerospace. In 2008 the Flight Path Learning Center at LAX, of which he was one of three founders, named its research library for Schoneberger. It contains a large collection of his documents and books. Robert F. Six, who built a tiny “puddle-jumper” air carrier with one daily round trip into Continental Airlines, loved playing David against the industry’s giants, once using discount air fares as his stone and slingshot. In the early 1960s, against the opposition of United, American and Trans World Airlines, he won approval for a 20% cut in economy fares between Los Angeles and Chicago. The big three airlines collectively bit their lips and matched the Continental fare cut, groaning all the while that the move would lead to disaster for them all. Six, however, was convinced that lower fares would lead to an increase in passengers and revenues, and Continental revenues did show increases between 10% and 15%. Six’s career began in 1936 when he persuaded his then-father-in-law to put up $90,000 to buy shares in the Southwest Division of Varney Speed Lines, just after the 16-employee company with three single-engine planes had been granted a route between El Paso and Pueblo, Colo.
Six, however was given voting rights to the stock, and within months he was named general manager. Six and his partner, the late Louis B. Mueller, bought a route connecting their airline to Denver in 1937. The partners then moved their company to Denver, where Six renamed it Continental Airlines and was named president in 1938. He served as Continental’s chief executive until his retirement in 1980–the longest such tenure for any airline executive–personally supervising operations from administration to marketing, from maintenance to flight operations. From th e moment she saw her first airplane in flight, Evelyn “Bobbi” Trout confessed to being “spellbound on becoming a pilot.” This desire to fly led her to become the fifth woman in the United States to receive a transport pilot’s license and become a pioneer aviatrix of the 1920s and 1930s. She had her initial airplane ride at age 16 and vowed to earn enough money for lessons. “Bobbi” took her first flying lesson on 1 January 1928 and received her Federation Aeronautique Internationale license, signed by Orville Wright, later that spring. She soon went to work as a demonstration and test pilot for the Golden Eagle Aircraft Company flying a 60-hp Golden Eagle high-wing monoplane. A year and a day after her initial lesson, she remained aloft over 12 hours in a Golden Eagle monoplane to set the women’s record for solo endurance. Five weeks later, she established five world records for women by staying airborne over 17 hours. She then set her sights on the women’s altitude record, breaking it in June 1929 with an altitude of 15,200 feet. From 18-26 August 1929, “Bobbi” flew a 100-hp Golden Eagle Chief in the first Women’s Transcontinental Air Derby from Santa Monica, California, to Cleveland, Ohio. The participants encountered a public reaction that ranged from hostility to bemusement–Will Rogers called it the “Powder Puff Derby”–as well as weather and mechanical problems. A forced landing near Yuma, Arizona, took her out of the competition, but she flew on to Cleveland later and managed to arrive only a few hours after the others. Three months later, “Bobbi” teamed with Elinor Smith in the first women’s in-flight refueling operation. Their Sunbeam biplane stayed aloft 42 hours and 5 minutes through refueling with a flexible hose from the support aircraft. The procedure involved “Bobbi” leaning out of the cockpit without a parachute to grab the refueling hose attached to a bag with provisions. Three successful hookups were accomplished before engine failure on the tanker aircraft forced an end to the flight. Trout set another refueling record in January 1931, this time with Edna May Cooper, when they stayed airborne over 5 days with 11 refuelings. She continued through the 1930s as an instructor pilot, an Aero Police Woman, and as a captain in the Women’s Air Reserve. Willis M. Hawkins was the principal designer of the Lockheed C-130 Hercules, a transport plane that has remained in continual production for more than 50 years, longer than any aircraft in history. During more than five decades at Lockheed, Hawkins played a leading role in the development of a number of historic aircraft, including the P-80, the Army Air Forces’ first operational jet fighter, and the Constellation, a commercial airliner adapted for military use during World War II. He also was a principal designer of the submarine-launched Polaris missile, developed during the Cold War for the U.S. Navy. While serving as assistant secretary of the Army for research and development during the Kennedy administration, Hawkins oversaw the early development of the M1 Abrams main battle tank, often described as the backbone of U.S. armored military operations and the first American-built tank since World War II considered superior to Russian models. He contributed to a number of top-secret projects, such as the Corona reconnaissance satellite. It took pictures in space that were retrieved midair by an airplane (a modified C-130) dispatched to catch its bucket-shaped reentry vehicle. A Corona film canister became the first object to be recovered from space and was presented to the Smithsonian by President Eisenhower. Ralph H. Ruud was born in Oslo, Norway and immigrated to the U.S. at the age of nine. He joined the U.S. Army Air Corps in 1928 and began his career with North American Aviation as a tool maker in 1931. He was one of the original “Bald Eagles” group of 75 employees that moved NAA from Dundalk, Md., to a 20-acre site in Inglewood, Calif., on the east side of Mines Field in1935 – the current site of Los Angeles Airport. In 1940, as war loomed on the horizon and North American was ramping up for one of its most incredible feats of aircraft manufacturing, Ruud was appointed factory manager of NAA’s Los Angeles plant. During the war years, he had direct responsibility for the production lines for vitally needed aircraft such as the P-51 Mustang, the B-25 Mitchell medium bomber and the AT-6 Texan trainer. Ruud’s expertise in manufacturing techniques helped North American produce 42,000 airplanes from 1940-45. Ruud was appointed president of the Los Angeles division in 1961. It developed the exotic X-15 rocket plane and the tri-sonic XB-70 bomber. The X-15 still holds the unofficial speed (Mach 6.7- 4,520 mph), and altitude (354,200 feet) record for a manned rocket plane. Additionally, the 185 foot-long, 520,000-pound XB-70 developed by NAA was capable of sustained Mach 3 flight at 75,000 feet. Both programs pushed the envelope that required pioneering work in the manufacturing of heat-resistant materials. As executive vice president of the North American Rockwell’s Space Division he helped direct two of the company’s most challenging programs – the Apollo spacecraft, and the second stage (S-II) of the Saturn V rocket, which would take astronauts to the moon.